We greet you from California! We are ‘home-ish,’ to use the word my sister-in-law coined to describe our perched position these days. In a game of missionary musical chairs, we are in our second temporary LA housing now, a home provided by our denomination to missionaries on home assignment. This will help us get back on our feet financially, and we plan to return to our home in November. We miss our home and dog, but we trust God has good purposes for us in extending the nomadic season just a bit more. Rich has jumped straight into work at Tanner, and I am doing course prep for a Fuller course I’ll teach this fall, getting re-certified to be a healthcare provider again for disabled adults, and pursuing other job leads. We are tired, and a bit overwhelmed by the mundane yet pressing tasks of renewing driver’s licenses, tracking down our mail, and easing our tummies back into California foods. I may blog again, but for now, I’d like to do a summary post that will help me to crystalize my impressions of the year. A number of themes have impressed us deeply this year, many of which have been covered here, but I’ll revisit those themes in the form of a tribute to twelve of the many, many people who inspired us this year. Know that each one represents dozens more. I’ll list them in four categories: students, local pastors, North American missionaries, and national IFES staff-workers. A few names have been changed to protect those living in countries not so welcoming of Christians. Nurhan, from Uzbekistan. I met this smart, funny, friendly young woman in Kyrgyzstan at a student leadership conference we taught. She and nine others had traveled for two days by bus to be there, and they would return home with no printed materials, to avoid detection as Christians. Her Muslim family has accepted her conversion but has forbidden her to tell the extended family or anyone else. She is able to attend a Bible Study in the city where she attends college, studying international relations. The challenges she faces in living out her faith are immense, but she handles them all with humor, wisdom, and grace. She is a phenomenally gifted leader and I pray she will impact her nation powerfully someday. Tony, from Nigeria, studying medicine in Ukraine. Tony represents the many international students we met. We had not anticipated how many students come to Eurasia from Africa and from some countries to which traditional Christian missionaries have no access, such as Turkmenistan. We met Indian students in Armenia, Turkmen in Belarus, and Kenyans and Nigerians in Ukraine. Tony was in my daily track, “Skills for Everyone,” at the English Camp outside Lviv, Ukraine three weeks ago. He impressed me right away with his insightful reflections as we discussed skills like conflict resolution, decision making, and time management. His story represents the many facets of corruption in many aspects of Eurasian/Eastern European society, including education. At one point we had a lively discussion in which I tried to convince the mostly non-Christian students why they ought to choose not to cheat. The students were quite adamant that due to the poor post-Soviet education system, the low quality of the instruction, etc., it was basically the morally appropriate response to such a broken system, to cheat on exams. One student said, “I would never cheat a friend, but this has nothing to do with doing harm to another person.” Tony alone pointed out, “If I as a pre-med student choose to regularly cheat on exams and therefore don’t learn the material, I could kill a patient!” Score one for long-term thinking and for connecting individual ethical behavior to its relational effects. I wish Tony many years of serving patients with skillful care. Tanya, Ukrainian studying in Kiev: Tanya represents the many, many students IFES is reaching who have not yet committed to faith. She is an enthusiastic participant, a leader even, in the English Club ministry of IFES in Kiev. She is a talented poet who writes poetry beseeching her beloved nation to continue to strive for freedom. (You just don’t hear poetry like that recited at the typical talent night in the US!) Like almost everyone in Ukraine, she was baptized Orthodox but does not follow the Orthodox faith actively. She has been drawn to what she’s seen of the Protestant student group, but has not yet chosen to fully align herself with them. It would be costly to family relationships. I pray for her heart to fully turn toward God soon. Pavel and Katya, in Belarus. We loved so many things about the leadership of this couple. Though serving in a denomination and country that does not do a lot to empower women in leadership, Pavel honors his wife’s many ministry gifts at every turn, and endorsed me to speak and teach in several settings during our time in Minsk. (Women in ministry was an unexpected theme of our year—I had not anticipated how hungry students and churches would be for input on this topic, and due to different cultural contexts had to scramble to create three or four distinct seminars, which I taught in Lebanon, Armenia, Romania, Moldova, etc.) Pavel also represents a refreshing exception to a sad theme we saw throughout the region, the difficulty sharing power and handing off leadership. The reasons for this are complex; I blogged about them a bit HERE. Pavel is a networker who from all reports shares power well. He is a sponsor and a coach by nature, and has a cadre of young church planters he is training and sending out around the country. He and his wife began the IFES movement in Belarus several years ago and are loyal partners today. It was an honor to work with them in Minsk. Alex and Nati, in Romania. We enjoyed these two so much! Rich had built a friendship with Alex over several visits to Eastern Europe IFES events in the last ten years, and he welcomed us to be speakers at his church’s fall retreat in September, to do leadership training for them in December, and to join the merry madness that is the English-Adventure Camp his church cohosts (along with the IFES student group) for high-schoolers, our final stop before returning to LA. One of our favorite parts of our journey was the chance to simply ‘do life’ with some of the people who hosted us. We had extra days around each teaching gig in Romania, and we enjoyed just going with Alex to the mechanic or the grocery store, staying up late laughing and telling stories, or thinking through a parenting or ministry challenge together. 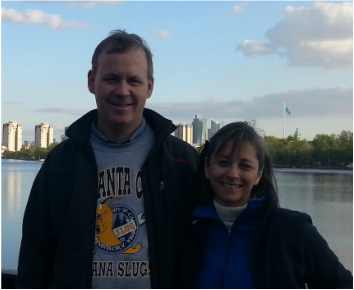 Alex and Nati represent the many faithful Christians we saw adopting orphans around Eastern Europe and Eurasia. Alex is taking a national leadership role with an agency seeking to build a culture of adoption in Romania, a country with very low rates of adoption and very high rates of abuse in orphanages. Nabil and Sarah in Lebanon: I’m fudging a little here because Sarah is Swiss-British and Nabil lived in London several years, but I can’t resist a hat tip to these two, who welcomed us so warmly to Lebanon. Nabil and Sarah led All Saints International Church in Beirut with enormous creativity and generosity for several years. (International churches were another learning theme of our year—I confess to a certain ignorant dismissal of them as a way for expats to avoid getting to know their new community. But I have more sympathy for expats and their needs, and more respect for the many ways international churches serve communities, after visiting and preaching at several, and getting to know some brave and weary expats this year. In Beirut the church served as a much-needed place of restoration for people doing hugely challenging work among refugees, for one thing.) Nabil and Sarah saw the Alpha Course prove to be so effective at their church that they have taken a role as directors of advancement of Alpha ministries throughout the Middle East. Blair and Elizabeth, in Kiev. One of the humbling features of our year was being hosted by complete strangers several times. None of the IFES staff were able to host us, but they knew they could confidently ask Blair and Elizabeth. Though they were only in Kiev for one year, and though their formal ministry assignment was not with IFES, they had opened their home for games and movie nights to students all year. Blair and Elizabeth, roughly our age and with kids at similar ages, helped us to picture what it might be like to return to Ukraine for longer than just a week or two, since they were able to thrive there. Steve and Cinda, in Egypt. One of the regrets of our year was that we were rarely able to connect with ministers from our denomination, the PC(USA). We simply weren’t in charge of our own time in many of the cities we visited, having essentially written a blank check to the IFES staff to book up our days. The Protestant church in Eurasia/Eastern Europe tends more towards Baptist and Pentecostal than Reformed of any stripe. Egypt is very different. The Synod of the Nile is huge, and we were so impressed with the good work it is doing, which we blogged about HERE. We stayed at the Presbyterian seminary and were warmly hosted by Steve and Cinda, who after decades of service stateside threw themselves into a three-year assignment in Cairo with gusto and good humor. Liz , in Bulgaria: Liz represents the many InterVarsity Link staff we met, serving faithfully in Bosnia, Azerbaijan, Turkey, Romania, etc. Liz knows how to have a good time. She ran an English club for Bulgarian and international students in Sofia and at its Halloween party she gave pairs rolls of toilet paper to make costumes for each other. One made a partner into the Statue of Liberty and pulled out a cigarette lighter to set his torch aflame! I chose Liz because she is gifted and fun and welcomed us well, but also because she is young, unlike the other two couples, and frankly we would love to see many more young people graduate and choose to invest in a challenging setting the way Liz did. Going as a single person takes an extra dose of bravery and sacrifice; I had in Rich a companion, a luggage porter for the many elevator-less buildings we encountered, etc. My hat is off to all who head out in mission as single people, younger or older. Hussam in Jordan. Hussam impressed us in many ways. He is a smart and capable leader, and the student conference we attended outside Amman was a joyful gathering. His church is doing amazing work to serve the many Iraqi refugees entering Jordan each week. We were struck by the suffering of refugees in Jordan and Lebanon (and to some extent in Ukraine as well), but also struck by the ways God has blessed those churches and individuals who have opened their hearts to them. Javid and Esmira, in Azerbaijan. This couple didn’t have quite enough challenge reaching out to college students in this 99% Muslim country in a city that already had a small but solid group of Christians, so they are heading this fall to a city near the border of Iran which has only 6 or 7 known believers. Ministers becoming missionaries was another theme of our year, as we watched Romanians sense God calling them to India, or others simply sense God calling them to the hardest and least-reached regions of their own countries. Marina, Dasha and Polina in Kiev, and while we’re at it, the whole Ukraine team. I know, this post is already ridiculously long and I said 12 people, but I couldn’t pick between these three amazing women who serve in such different ways in Kiev, Ukraine. Marina is a super-talented violinist who likes to take her violin with her to bring encouragement to soldiers, people delayed in train stations, and the likes of me and Rich on a few occasions this past year. Dasha lives life with a lot of style, while coordinating the details of events like a Lamb visit to Kiev or an English Camp with meticulous attention. Polina jumps into ministry with energy and a smile. The Ukrainian team in general inspired us again and again, as several of them found themselves uprooted by violence and kept serving faithfully in the new cities in which they found themselves, and as they persevered through a strategic leadership planning process we facilitated in June, boldly dreaming big for their movement, even though their nation’s future is unstable. That’s it. Twelve people, or pairs or teams of people, who inspired us, taught us, and made our year an amazing adventure. I’m missing them all as I write this, and profoundly grateful to God for their faithful witness. I am on a bus to Bulgaria, where Lisa and I will be leading the staff and board of the IFES movement there through a strategic planning process. This process involves bringing the team together to consider the challenges and opportunities, the needs and the assets of the movement and to consider how best to prepare and plan for growth in the coming few years. When we did this in Ukraine, we began with a few touchstone Bible studies. First, we looked at the passage in 2 Kings 4:1-7 where Elisha solves a widow’s problem of poverty by asking her to gather as many jars as she can from her neighbors, and then to take the jar of oil she has in her house and begin pouring oil into the many empty jars. The oil kept pouring while there were empty containers, and it stopped when they were all full. We looked at this story as a parable, as a model of how God often works, rather than as some sort of promise, but we did notice that God multiplied her oil in proportion to the number of jars she had faith and resources to borrow. If she had only borrowed a few jars, she would only have seen a small miracle. The jars are simply containers, much like the structures and plans we make in student ministry. We don’t, at the end of the year, care about the number of Bible studies we led or conferences we planned and executed, but we care deeply about the number of students who entered the Kingdom or the measure of their growth in faith as disciples. But we know in Jesus’ stories about how the kingdom of God works, that growth is something given by God, and the farmer who sows the seed “knows not how”. So the best we can do, to prosper the ministry God has entrusted to us, is to set out jars, opportunities for God to pour out the oil of his Spirit, the work of his Spirit in the lives of students, who will find these “jars”, these Bible studies, conferences, student leaders who serve, invite, welcome and encourage, so that God can bring about miraculous growth, both in individual students and in the size and strength of the fellowships themselves. A second passage we looked at is Mark 2:18-22, another relatively obscure little parable about containers. Jesus is asked a question about the practices of his disciples: It seems religious people in Jesus’ day fasted a lot, but Jesus’ disciples didn’t. He certainly seemed like a religious person, but why didn’t his group fast? Jesus explains that it is foolish to try to patch old practices on new movements of God’s Spirit—the new will destroy the old, whether with new patches on old cloth, or new wine in old wineskins. The Pharisees were once a reform movement within Judaism, calling people not to turn away from God, the scriptures, and the temple. But 150 years later, they were a part of the religious establishment. What had once been fresh wine of renewal put in new wineskins of faithful zeal became over time the old and crusty wineskins, empty of the Spirit of God and devoid of real faith. These, in turn, needed to be replaced by new wine of the Kingdom poured into fresh wineskins. Unfortunately, this pattern has repeated itself many times in the history of the people of God, right up until the present. What begins as a renewal ministry, a fresh outpouring of God's spirit, becomes rigid and stale as it is multiplied through succeeding generations. This process, which might take decades in the church, can take just months or a couple years in student ministry—what was once an innovative risk into which God was pleased to pour out his Holy Spirit and work through his people becomes an old encrusted wineskin that no longer has the impact in student ministry it once did. The call of this passage is to be seeking a fresh outpouring of God’s Spirit, and to be creative enough to prepare new skins for God’s purposes with students. This passage calls us to look at the structures and strategies of the past and to honestly evaluate them based on the growth we see them bringing about through the outpouring of God's Spirit. Structures that served well in the past may no longer be fruitful, and it is then time to prepare new structures better fit for today's challenges and the work of God we desperately need. These two passages are not so much about the goals of student ministry but the process, which involves preparing structures into which God will be pleased to bring about growth, and to trust, not in those structures or time-tested strategies, but in the God who is always eager to work in new ways to draw people to himself. Today we left one of our “homes” to move on to another, the 88th time we have done so. As with most of those homes, the departure meant boarding public transportation, often a plane though in this case it was a bus. And, at most of these departure points, I notice something. Specifically, I notice the couples who are saying goodbye. One member of the couple is about to board a bus, a train or a plane, while the other is staying behind. Often these are young couples, but not always. I do not know the story behind each of these sweet partings, but we have heard many stories. We have heard from people of their family members leaving their homes in Eastern Europe or the former Soviet Union for economic reasons. We have heard from people whose fathers moved to Russia, usually Moscow, staying away sometimes for years in order to make enough money to support the family. We have even heard of a couple who left their young children in the care of a brother and his wife so they could get jobs in Russia to support their family. As we hear these stories, it is difficult to judge and easy to have compassion on the people who have made this most painful of decisions in order to pursue economic support for their loved ones at great personal cost. Of course, I do not know the story of everyone I see saying their farewells at the platform or as we enter passport control or the security line. Long distance relationships for young people can be character building and can build the basis for a stable marriage relationship long term. (Both of our children are in such long-distance relationships now and experience the heartache of having to say goodbye at the airport when one returns to their home.) And during my career with IVCF, I was often the one leaving my wife and family to board a plane for some days of separation in order to pursue my ministry calling. But this year, I remain grateful that, at each point of departure, I am not saying goodbye to my sweetie, my best friend, but I am traveling with her, leaving one “home”, one set of friends, with my partner in this ministry in order to embrace the next step in the adventure, a new “home” and a new set of friends and experiences. I am grateful for this treasured companionate faith journey with Lisa. June 25 we head to Bulgaria, where we (mostly Rich) will facilitate a strategic planning process for the board and staff of the IFES work there. We loved being with them for their fall retreat in October, and sense a lot of strength in their movement. Rich has led processes like this for teams in the US on numerous occasions, and it draws on many of his talents as a thinker and a collaborative leader. It was fun for him to be back in the mix when he did this in Ukraine, and the feedback was that his leadership was very helpful. It’s not my favorite thing, but I work hard to listen and participate. June 29 we fly to Lviv, Ukraine, where we will help to staff an evangelistic English Camp. In several countries we have met staff and highly committed adults in churches who have testified that they became Christians at an English Camp. These were a hugely effective tool when the Soviet Union first collapsed and there was an intense eagerness to learn English and a great curiosity about the gospel as well. Both those hungers have subsided some, but English camps continue to be an effective strategy, as well as great leadership setting for the Christian students who come to lead small conversation groups, games, talent nights, and in other ways serve those who come without a faith background. I will give the opening talk and will lead a track called “Skills for Everyone,” with interactive sessions on effective communication for starting a friendship, conflict resolution, goal setting, decision making, and time management. Rich will lead a track on leadership of individuals, teams, and oneself. We enjoy the Ukrainian staff who will be at the camp, and look forward to the time there very much. July 12 we will staff an English Camp in Romania. The Romanian IFES movement is also dear to us, and we especially enjoy our friendship with AlexIlie, the pastor and former IFES staff who will direct this camp. We have stayed in his home with his delightful family three times on this journey, so we are happy to end our year with a last visit to his city, Pitesti, and to the beautiful mountains where the camp will be. Please pray that our stamina and motivation to serve students and staff would remain strong for this final stretch. We feel so grateful for this few days in a restful town here in Greece; after recovering from the crazy bus ride we feel rested and energized for these last three stops. Pray that we would connect well with the non-Christian students at the English camps, and that they would take steps toward following Jesus. Please pray for our transition to Southern California. We return with no cars, and you who live in LA know that it is sadly not an easy city to navigate without a car. We are grateful for the loaners that are beginning to come into place and the possibility of one longer-term. Anyone looking to sell a used car at a good price is encouraged to contact us! Our housing is another challenge, but we see God’s provision there as well. We will stay in the missionary housing of the Presbyterian Church, House of Rest, in Pasadena for our first three months back, and look forward very much to returning to our home in November. Pray as well for our return to work: Rich will begin work right away at Tanner, and I will have one course to teach at Fuller each quarter. I will be recertified to host a person with disabilities again in our home and to tutor. I continue to hope to be in pastoral ministry, and applied to another church this morning, but search processes are slow and jobs scarce, so I will do the work that I can do in the meantime. We also are quite excited to have both our children in Pasadena with us for ten days (Mark) and three weeks (Becca) before Becca heads off for a semester abroad in Pune, India and Mark returns to London. Pray that in the midst of all the details of renewing expired driver’s licenses, renegotiating our insurance, and remembering how to cook food, we would have time to process all that we have learned and experienced this year. We continue to be so, so grateful for the gift and opportunity it has been, and so thankful to you who have given and prayed along the way! How important is food autonomy to you? How important is it that you can eat what you want when you want it? How much does having choice about what you eat, its variety and/or consistency and quantity, matter to you? Well, until this year, I (Rich) would have said that it matters to me a lot. I like food, but I am not an omnivore—I would have said that I am a bit of a picky eater. Of course, that has mellowed over the course of my life, but I am still not a huge salad fan, for example, and I avoid salad dressings and most sauces if I can help it. When you become a missionary, especially one that is traveling to one hundred or so homes over the course of a year, you end up letting go of food autonomy. We have been served hundreds of meals over the last 11 months, many of them in small conference facilities, but also in homes where we were being served as guests. Over the last year, we have been on our own and not serving a local student movement for just a few weeks. Other than that, we have eaten out at restaurants rarely, and then mostly local places offering local food choices. I am not complaining about the food we have enjoyed on this trip—far from it. Actually, if anything, it has surprised me how much I have enjoyed the food and really not missed being able to make or select my own meals. We have eaten what is set before us, usually pretty happily, and really only a few times has the meal been difficult to consume. But I notice what I think now of as my Americanness by how I notice the much reduced set of choices we have, in part because we are enjoying the hospitality of others and in part because of the post-soviet mindset of the people here. even bread might be offered so that it could be toasted (or not), and with multiple flavors of jam, honey, butter and margarine all available to dress your bread/toast. In the places we’ve visited, time after time the meals are plated, with everyone receiving the same quantity of vegetables, salad, starch and meat. Where they were served family style, you were expected at the table to do the math. If there were eight people at the table, eight pieces of meat were served to the table, with a heaping supply of potatoes and predressed salad. Choice consisted of how many helpings of potatoes or salad you took. Even when people are offered choices (jam or no jam, for example) everyone seems to take their bread (with jam) or their soup (with a dollop of sour cream) the same way. Again, my intent here is not to complain about the lack of variety in the food here, but simply to marvel at what people expect even nearly 25 years after the fall of the Soviet-imposed uniformity. Today, I was at a restaurant with a group of people from the church Lisa preached at this morning. One American couple was sitting across from me. They had both ordered salads for lunch, and the wife had ordered a side of French fries. Her 10-year-old son had ordered a soup, but after he finished his soup, he reached for his mom’s fries. She gently swatted his hand away, saying, “You could have ordered anything.” She was defending her (still nearly full) plate of French fries from her son. In my experience this is not a very typical mom’s response to a son’s request to share his mom’s fries. She then relented and let her son have a single French fry off her plate. I am sure she is a wonderful and loving mom, but my theory is that she had simply been craving French fries, and she was seeing that plate of fries as the pathway to satisfy her food craving. Even her love for her son was not going to get in the way of the satisfaction she sought. So perhaps this is a common occurrence when one lives as a missionary in a foreign land. I have compassion on her—I myself become territorial about food, and even about French fries specifically, especially if I am seeking to restore some lost food autonomy. I have found a very important coping strategy. I travel, as I have for many years, with dark chocolate, and I usually eat about one ounce of dark chocolate, in small pieces, per day. It helps me not to complain about the lack of chocolate in my host-provided diet, and in general helps me to be content, as the Apostle Paul says, whether I am experiencing plenty or want. I wish I weren’t dependent on dark chocolate in this way, but as a coping strategy, it is better than taking up smoking! All along the way this year I’ve been asking the question, “What can Americans helpfully bring to the work of God’s kingdom in less-developed countries?” Specifically, what can we still bring? Shouldn’t we hand it all off to local leadership about now? Zealous western missionaries poured into former Soviet Union and Soviet Bloc countries as the USSR collapsed, and a burst of good did result. Churches were birthed, conversions happened, and many of them stuck. We’ve probably met or at least worshipped with hundreds of people who became Christians during that heyday. Some of that zeal was misplaced; some even caused real harm. Flash-in-the-pan, large-scale evangelistic crusades and concerts left American Christian rock bands and evangelists with big numbers to report but questionable lasting fruit. The dust has solidly settled and the work on the ground has been hard. The window of curiosity and openness is fairly closed, conversion rates are way down, and some congregations are aging and declining just as they are in the US. The economies have followed a similar trajectory: the burst of hope capitalism initially brought has given way to a grim, trudging hopelessness as the corruption that flourished under communism remains deeply entrenched, and the forces that crush entrepreneurial endeavors grind on. In the face of all that, I think American Christians bring a crucial quality that is still precious here: hope. We are a hopeful bunch. We’ve tried some things, and sometimes, by golly, they’ve worked. A whole bunch of us decided we’d had enough of Europe (and later Asia and elsewhere) and packed ourselves into cramped ships to try our luck at something new. Another bunch subsequently said they’d had enough of New England winters and headed off for even more new. Once we got there we experimented again and again; some of the most innovative industries in the US are on the West Coast for a reason. (I’m admittedly telling my story as a white, Euro-descended person here. That’s partly because I’ve enjoyed learning for the first time about my direct ancestors while seeing the harbor in Falmouth that was their jumping-off place. I know that another bunch of us came from Africa involuntarily, in far crueler ships, and endured brutal treatment as slaves. The indomitable spirit and faithfulness found in that community despite ongoing injustices faced there testifies to an even deeper strain of hope.) I think that we North Americans still can bring hope, and hopefulness, as a gift to cultures that have a tenuous hold on it for all sorts of reasons. What’s easier for me to picture, though, is a dog-like hope. My Labrador dog Luna’s tail is a force of nature. It’s heavy and huge and makes a rowdy racket when she bangs it on the kitchen cabinets while getting a rub-down from me at the end of the day. She’s just that glad to see me. Hope rises up within her that of all her favorite dreams are about to come true: “A walk! Around the whole neighborhood! Followed by a bowl of food! Then more petting! 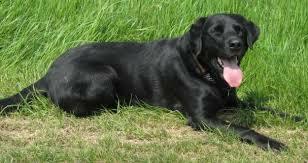 Does it get any better than this?” I think Americans are kind of the Labrador dogs of the world. We are quick to warm up to strangers, loyal and eager and friendly, and remarkably optimistic. We’ve been in Cornwall the last four days, getting a little downtime before our last eight weeks of resourcing IFES staff and students. Aside from the stress of driving on the left side of the road with a steering wheel on the right side of the car, on roads bumpy enough to cause a flat tire in the middle of nowhere (we figured out how to uncheck ‘unpaved roads’ from our navigational app and added four miles to one recent short journey), we have loved the beautiful countryside and the friendly, open people. Whatever you’ve heard about British reserve doesn’t seem to us to apply here. People will chat on the streets with strangers at the drop of a hat, or invite you into their farmhouse for a cup of tea if you merely tell them your great-great-grandparents once farmed there, as I did the other day. Or invite you in for more tea while you’re waiting for roadside assistance for that flat tire. And they are amazingly patient with American incompetence on the roads. They just keep smiling and waving. It strikes me as not coincidental that they really, really love dogs here. Labradors specifically. They are everywhere, even gracing the more casual restaurants and pubs. Tilly, a black lab at one farm, became my new best friend, rubbing her dirty body all over my jeans when I threw her favorite stick for ten minutes. I’ve gotten my dog fix, which will hopefully last me until my reunion with my dear old Lunatic (my nickname for our dog Luna, except for when she’s sleeping, when she becomes Lunesta…and I’ll just keep to myself what her ‘Luna Bars’ are in my nomenclature). The time here has been a gift, a restorative treat from a generous God, even down to giving me a big dose of Labrador dog while here. I will try in my turn to bring the open heart of love and the cheerful, hopeful approach to life that Lab dogs offer, even at the risk of whacking someone with my too-enthusiastic tail on occasion. I have integrity in business on my mind today, as I absorb the sad news that Alec Hill, beloved president of InterVarsity USA, is resigning due to bone marrow cancer. I left IVCF staff in 2001, the year Alec began (Rich served as a National Field Director under Alec’s wise leadership for another five years). So I mostly knew Alec through Rich, and the few days we roamed the South together in 2004 on a bus full of Pilgrims for Reconciliation. But I was impressed with the book he wrote, Just Business, while a business professor at Seattle Pacific University. I remember the confidence it gave me to see that title with our incoming president’s name on it. “Here is a man of integrity. We can trust his leadership.” Such integrity at the highest level of leadership was a great gift under the presidency of Steve Hayner as well, of course. Both men brought stability to the organization after a tumultuous prior decade, and that gave us room to breathe. 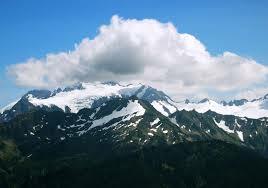 Trust in our leaders engenders freedom to risk; it creates a safe meadow where sheep may graze and explore. Within that meadow staff-workers became free to clarify strategic initiatives and re-focus on chapter (campus fellowship) growth and chapter planting. Though I’ve only observed from a distance, my sense is that IV staff under Alec’s presidency trained their sights on those two goals with an unprecedented discipline and that the organization has grown in numbers, energy, and effectiveness. Integrity in business and politics is noteworthy in its absence in Eastern Europe and Eurasia. I had never really thought through the deep and wide implications of corruption before our time here. At bottom, it breeds a lack of trust. Rich’s back was in pain the other day and we asked a Malaysian doctor, a board member of the ministry here in Kazakhstan, what ibuprofen he would recommend we purchase at the local apteka (drugstore). “None of them,” was his firm reply. “You don’t know what worthless or even harmful substance they’ve swapped into that foil packet marked as ibuprofen.” He whipped out his doctor’s kit and handed us some ibuprofen from a source he trusted. We were grateful, but sad, thinking of what it’s like here (and in much of Africa, etc.) never to know what medicine, or lack thereof, one is really buying. In some of the countries we’ve visited it is virtually impossible to get a college degree without paying bribes to one’s professors. Some professors are so blatant as to inform their students of the price of an A, B, or C the first day of class. Once the price is paid, attendance drops and academic work is often simply not done. The results of this are hydra-like, fanning out into every sector of society. How can motorists trust the bridges they drive on, knowing that the civil engineers who designed those bridges may have never attended class or honestly passed an exam? How can an employer possibly know whether a graduate is truly qualified to be hired? Well, no worries; there’s often another system for hiring. It’s called a bribe. The cost to become a teacher in one country we visited recently is several thousand dollars, paid upwards to various school administrators. So today, I’m thanking God for the ministry of Alec, as he steps away from a job well done to focus on his health. My prayers are with him and his wife Mary. I’m thanking God for leaders everywhere who seek to bring integrity to their work. And I’m praying for oxygen for my new friends who labor in countries where corruption chokes the freshness right out of the air. I’m thankful too for you who read this blog, for every time you are tempted to cut a corner, as a nurse or a teacher or a taxpayer, and you don’t. You are adding one more stitch to the fabric of a strong society every time you make that choice. When we do this study, I often ask, “In your home, who usually feeds whom?” “Parents feed kids,” is the reply. Yes, big people feed little people when they are hungry. The people of Israel, by bringing sacrifices to God in this way, are making themselves big (the ones with spare bulls and goats) and God small (the one who needs a tasty meal). So God is angry because their sacrifices are inverting the relationship he wants with his people. So the sacrificial system was set up by God not to impoverish his people, or to meet his own nutrition needs, but rather to show people how to trust him. It was a gift God was giving them, and the people of Israel, as recorded in Psalm 50, have turned it upside down and made those sacrifices into gifts they are giving God. And that makes God angry. So God offers, in v14-15, another way of pleasing him, a simple, three-step plan: 1) “Offer to God a sacrifice of thanksgiving.” First of all, thank me. You have plenty of reasons to be grateful, so take time to thank me. 2) “Pay your vows to the most high.” Simply put, “Do what you said you would do.” 3) “Call out on me in a day of trouble. I will deliver you, and you will glorify me.” The third step seems the easiest, simply call to God when we get into trouble. Our job, it seems, is to get in trouble, while God’s job is to get us out. This makes God the hero of our story: he’s big and we are small; he’s powerful and we are needy. God calls his people into ministry to show them his love and care for them as they show God’s love and care for others. He blesses them as they bless others, and works for good in their lives. As I share this passage with staff and students around Eurasia, it rings true for them. They know what it is like to be in trouble, and have seen God work to get them out of trouble over and over again. Our hearts break to hear stories of the disappointments of the ministry in this part of the world, but the testimony of staff is repeatedly one of seeing God at work, in their own lives and in the lives of students, in the midst of and through the trouble and difficulty they face. Lisa and I are in the same situation, as we are preparing to return to the US. We have some income guaranteed upon our return, but certainly not at this point full-time work for us, replacing salaries we left behind now over ten months ago. We felt called to take this year, but we are feeling ourselves to be a bit in trouble as we return. And yet, we are calling out to God, and believe that in the end he will be the hero of our story, and we will thank and praise him as he has provided for us, repeatedly, abundantly, over many years. Praise be to God! One of the main ways we have served people this year, I’ve come to believe, is simply by showing interest. Many of the people we meet are working to share their faith in settings where that faith community is extremely small and conversion rates dismally low. So many things we took for granted as IVCF staff in the US, such as the ability to hold meetings on campus or to advertise one’s group at a fair as the year begins, are not possible in this part of the world. For this and a host of other reasons, numbers are not always impressive; budgets for programs are small. Given that, they pull off incredibly creative events and work hard to connect meaningfully with the students who come to them. Last Sunday I managed to communicate care without even really intending to. I was tired from a late-night wedding feast on Saturday, and frankly sometimes the translation we get from a well-meaning pew-mate, delivered in hushed tones, can be a bit soporific…so let’s just say I may have missed some of the details of the post-church event as it was announced. It is the custom in Azerbaijan to gather with those who are recently bereaved and sit with them over tea and appetizers, hearing stories of their loved one and comforting them. A lovely North Korean woman who had grown up in Uzbekistan, then moved to Kazakhstan, and finally to Azerbaijan, invited us to mourn her sister, who had died suddenly in Kazakhstan at age 52. Now, I will admit that as we walked to the church office a few blocks from the church, I had completely forgotten this announcement, if indeed I’d ever really heard it, so as we entered the office my thought was, “Cool! Snacks. I’m hungry. We’ll eat then go back and I can nap before the evening event.” Only gradually did it dawn on me why we were gathered, and that this would not be a quick stop. I did not even sit near enough to hear the stories she shared. I just took up space and consumed food. But as we left she hugged me tight and said a heartfelt “Thank You” in Russian. Not knowing my cluelessness, she was thanking me for taking the time, for being present, and in a small way showing interest in her suffering and her life. While it often feels more clear to me that we have contributed to a student ministry or a church when we have taught or coached, sometimes just showing up and showing interest communicates more than we can imagine. Where are you struggling to show up and keep showing interest these days? The neighbor or roommate whose stories you’ve already heard five times? The friend whose narration of life feels like a litany of woes? Ask God for the patience to keep listening and showing interest. You may be doing more good than you know.